During the year, major art exhibits are sponsored by PSAA. These shows are described below. To view the paintings for each show select the link for each show below. and Sundays, 1pm to 3pm. Admission is free. We are located at 94 Stafford Avenue, Manahawkin, NJ 08050. On display through April 24th. Colorest has gifted us with a $25 gift certificate for art supplies. 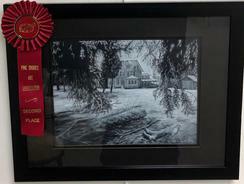 This special prize was awarded to the first place winner in the Black and White Show. This is black and white only. No color is allowed anywhere in the picture, mat or frame. Wed. morning, April 24th ! Maryellen Warnick and Ramon Valentin Avila - June 2018 Featured Artists. Click the title to see their artwork, which was on exhibit in Pine Shore Art's gallery during the month of June. 2018 Spring Art Show - has ended... but click the title, take a peek ! On display were 30 works of art, many of which were award winners. Tom Pickle - March 2018 Featured Artist. 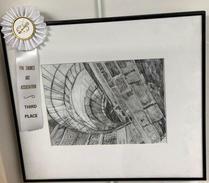 Click the title to see his artwork which was on exhibit in Pine Shore Art's gallery during the month of March. February 2018 Student Art Show - Pine Shores Students artwork that was started in class within the past 3 years was exhibited. Click the above title to see the artwork ! James Maloney - January 2018 Featured Artist. Click the title to see his artwork which was on exhibit in Pine Shore Art's gallery during the month of January. 2017 Deck the Walls - Our fourth annual holiday-themed art show decked our gallery's normally bare walls in December with holiday and winter scenes. No fee, no judging. August 2018 Student Art Show - back by popular demand: Pine Shores Art students' artwork that was started in the last 3 years was exhibited. This was the 2nd Student Show this year ! 2018 Art Patron Show - Our 7th Annual Summer Art Patron Show - click the title - over 50 donated paintings were on display on the Pine Shore Art's gallery walls in July. Last year's fundraising gala took place at the Stafford Fire House on Sunday, July 29th. Proceeds will benefit southern Ocean County art lovers of all ages through year-round programs at Pine Shores Art Association. September 2018 Photography Show - Click on the show title to see many of this year's entries. 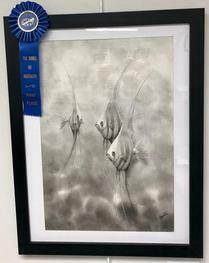 October 2018 Best of Best Show - the best work our artists had to offer ! February 2019 Student Art Show - Pine Shores Students artwork which were started in class within the past 3 years was exhibited. Click the above title to see the artwork ! Kim Cesaretti - January 2019 Featured Artist. 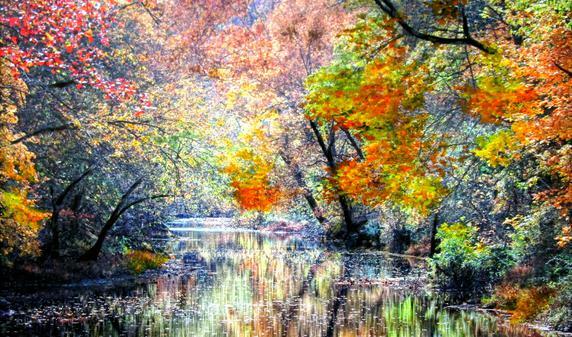 Click the title to see her artwork which was on exhibit in Pine Shore Art's gallery during the month of January. 2018 Deck the Walls - Our fifth annual holiday-themed art show decked our gallery's normally bare walls last December with holiday and winter scenes. No fee, no judging. This is a great way to have our walls decorated for the holidays. For more details on how to apply for art shows, go to the Forms page or click here. For lecture signup, click here. Spring Show requirements and hanging instructions can be found here. Please add a value or selling price to your entry !